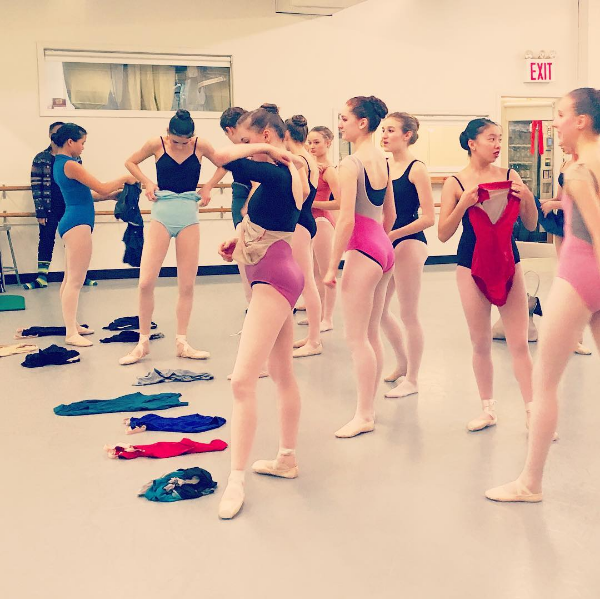 Wendy Whelan gave away all her leotards in December. It was a Christmas surprise for her Ballet Academy East students—and an experiment. By getting rid of her uniform of more than 30 years, she hoped her muscle memory would let go of old movement patterns. "The minute I got myself out of leotards, my body opened up: I didn't feel so strict and tight and bound," she says. "I never expected you could change so much from the outside-in." Leaving the ballet world—and life inside such a massive institution as New York City Ballet—has been a revelatory experience for the former reigning ballerina. 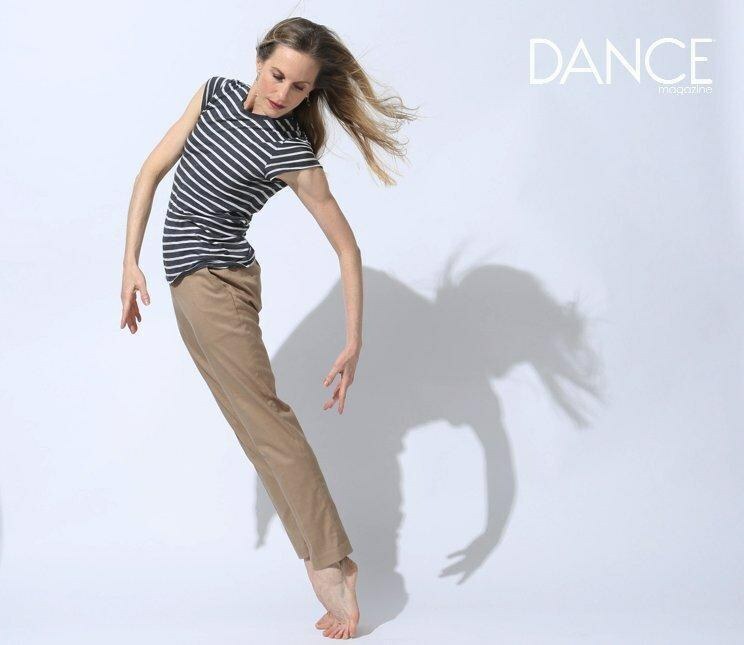 Since retiring from the company in 2014, she's taken on everything from dance theater collaborations with Royal Ballet star Edward Watson to a multidisciplinary opera choreographed by David Neumann to grounded modern dance duets with Brian Brooks. She doesn't have a defined vision of where she's going so much as a mission to explore what's possible. With no structured company schedule telling her what to do, she can seek out whatever work she wants, with whomever she connects with. "I feel like I can be myself," says Whelan, who's turning 50 this month. "I'm thinking and doing things I never would have imagined as a ballet dancer." "You want more air around your face," says coach Risa Steinberg after a run-through. "A sense of waft." Whelan widens her eyes, smiles, then gives Brooks a high five: "We texted about 'waft'!" It's clear that the studio is her happy place, and moving is her most natural mode of being. In a T-shirt and Adidas pants, her hair in a loose braid down her back, she works on using more plié, bringing her pelvis with her, moving through her back space. Yet even in this new vocabulary with its new challenges, she retains the same enigmatic qualities that made her a ballet star. The arc of her toes—now in socks—etches the space with precision; a simple lift of her arm feels poetic even if you can't quite figure out why. "I don't intend to make masterpieces—that's not my goal," Whelan says later. (Indeed, some of her projects have met mixed reception.) "I just want to move, and be challenged by people I'm inspired by." In her bracingly forthright manner—she's as equally allergic to ego as she is to false modesty—Whelan says she feels her choices have been judged by some in the ballet world. Once, shortly after retiring, she introduced Brooks to an administrator from NYCB, who looked down at Brooks' bare feet and literally rolled his eyes. "There's a hierarchy in dance where ballet is the higher art and that's the way a lot of people see it," she says. "I don't know what to think or say about that." She admits she can fall back into that hierarchical mindset when she's in her former stomping grounds. "I feel a pang of an old thing; it's a little like a scar," she says. But what she's doing now feels like the right choice: It's more "her" for where she is at this point in her career. As much as she loves ballet, what she wants most is to just keep moving. "I'm not trying to be something I was or something I'm not. And if somebody wants to roll their eyes at that, so be it." Her new focus isn't entirely surprising. "She's always had a contemporary sensibility as a person and a dancer," says New York City–based choreographer Kathy Westwater, who's known Whelan since they were both preteen ballet students in Louisville, Kentucky. She adds that throughout her ballet career, Whelan was well-known as a muse, bringing her mysterious je ne sais quoi to the creative process with choreographers like William Forsythe and Christopher Wheeldon. "Although she'd never call herself a choreographer, her intuitive suggestions and her instincts contribute on an exceptional level," says Brooks. "The way she moves, she's like the aria of an opera—that suspension, that lift, the way she holds a moment with her extension or her port de bras or her focus." Brooks says that he had an epiphany recently while watching Wheeldon's After the Rain. Having previously seen Whelan in the piece, he saw it performed by other dancers and could still see Whelan in the choreography, particularly her physical sense of timing. "Her urge to suspend, pause, elongate—I saw that integrated, and I feel it when collaborating with her." Part of Whelan's magic in the studio comes down to how easy to work with, how humble, she is. "She's an anti-diva," says her husband, the acclaimed photographer David Michalek, who confesses that her habit of getting to know every security guard and crew member was part of what made him fall in love with her. "She leads with, 'Teach me. Show me something I don't know,' " says Brooks. Back in rehearsal, when Brooks mentions he doesn't want to draw the focus off her, she facetiously jokes, "Oh, no, you couldn't upstage the divine Ms. W."
Those who don't know Whelan are often surprised by her whip-smart sense of humor—particularly her shockingly dirty jokes. "She can make a brother blush!" exclaims Kyle Abraham, who choreographed on her for Restless Creature, during her last year at NYCB. "It's like, 'Oh, you really are so real.' "
Whelan doesn't take for granted any of what she's doing today. For four years, she struggled with debilitating hip pain, and feared she might have to leave dancing behind. In Restless Creature, a documentary about her last year with NYCB (hitting select theaters this month), footage shows the terror in her face and her quick breaths as she talks about how the pain might affect her ability to dance. "From what I knew, when you get a hip replacement, you don't dance again," she says. "I watched Suzanne Farrell get her hip replaced, and then retire. I watched Merrill Ashley get her hip replaced, and then retire." Whelan had a surgical reconstruction on her hip in 2013 but avoided total hip replacement surgery until December 2015, when the pain got so bad that her husband had to carry her down the street because she couldn't walk. She found a doctor who used a new surgical method that allowed her to do everything from jumps to the splits again eight months later. She now has about 90 percent of her abilities back for what she wants to do. "To get my hip back, I feel like I got my life back." Even more than that, life feels bigger for her now. For one thing, she's gotten political and has lost any inhibitions about sharing her views. Friends now seriously encourage her to run for senate, despite her lack of a college degree. "I was never like that as a ballet dancer, never, never," she says. "When you're in one building with a group of people for 10 hours a day for 30 years, you get really good at navigating that bubble." As much as she cherishes her time being part of that, she knows how lucky she is to experience the world outside of it, too. "Being able to use my voice, to have the confidence to say, 'This is how I think,' I'm digging that." She adds, "A lot of people don't like me anymore on Instagram. And that's okay." Her worldview has evolved along with her changing expectations of herself. As Michalek puts it, "Crudely speaking, at NYCB she was an employee. People were making decisions for her." Now, she's become an entrepreneur, arranging projects, gathering collaborators, securing funding, finding management. Almost all of the projects she's done since 2014 are opportunities she's orchestrated herself. Few artists approach her to collaborate, which she guesses might be due partly to her outsized reputation as a ballet star. "But," she says, "if someone wants to call me, I'm always open to hear!"